Every year, the Met Gala give the rich, famous and often talented Hollywood elite a chance to outfit-top each other, with varying degrees of success and surrealism. This year, the fashion oracle, Vogue, who organised the red carpet event, demanded the guests dress in an avante-garde manner in accordance with the theme, which honoured designer Rei Kawakubo, founder of Comme des Garçons. Apparently, Jaden Smith got the memo and took the experimental, radical, and unorthodox dress code to new, hairy heights of eccentricity. In an attempt at being Bohemian, 18-year-old Smith carried clippings of his old dreadlocks onto the red carpet. Explaining his fashion choices to Vogue red carpet stalwart André Leon, the teenager said: “And since I couldn’t bring my sister as a date, I brought my old hair,” because apparently the two are interchangeable. While the flamboyant magazine editor dubbed his choice definitively ‘avant garde’, giving it a glowing critique, the rest of us Great Unfashionable are left pretty dumbfounded by the publicity stunt. In the absence of his sister, Willow, perhaps Jaden opted to whip his hair back and forth in a nod the youngest child of Will Smith. Dear Humans, Your World Is Coming To An End. 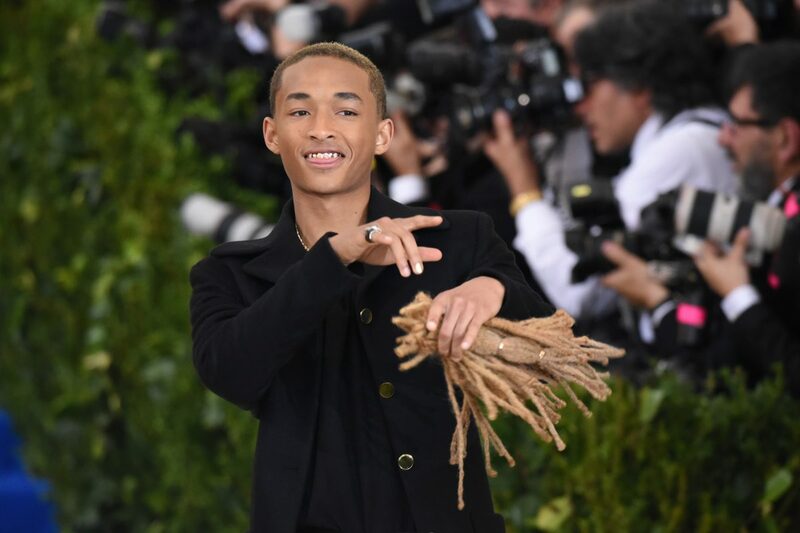 Jaden chopped his trademark dreads off weeks ago for a role in an upcoming film, which begs the following questions: Has he been keeping it all this time just for The Met Gala? Or does he have a hair shrine at home? Has he just got separation anxiety? Who held the dreads throughout the fancy dinner? Is this even hygienic? Whatever it is, Jaden continues to trail-blaze with his bizarre style and has retained the approval of the fash-pack by a hair’s breadth.